Top Rated iPad Warranty Coverage! If We Cant Fix it, We Replace It! Only $74.99 for 2 Years of Coverage! 100% Risk FREE! You may cancel anytime for a prorated refund. This plan must be purchased within 30 days from original date of purchase. A $45 deductible applies to select claims. Click here for details. An iPad Extended Warranty is a Necessity! After spending all that money on your iPad HD/iPad 3 and other iPad accessories, do you really want to take the chance of dropping it or breaking it somehow? Let’s face it – iPad’s break! The screen is the most important part of the iPad and if it is damaged in any way, you can pretty much forget about trying to use it. Consumer Priority Service offers affordable iPad Warranty to protect your iPad from such damage as liquid spills, immersion, drops, falls, bangs, surges and more. For such a small price, having iPad warranty coverage is a necessity. Replacing an iPad is no cheap matter and can put you out a good $400 minimum for a new one. With our full accidental warranty protection, your iPad is covered in the event of a slip, fall, drop or even water damage. Our iPad 3 warranty in combination with an iPad case or iPad cover is a solid combination to ensure top level protection of your iPad. Consumer Priority Service makes sure that you are covered in the event of an accident. We’ll repair your iPad or replace it if it is deemed irreparable. For the peace of mind that our iPad warranty provides, it’s definitely worth the price to have. Keep your iPad protected with total accidental protection from Consumer Priority Service. 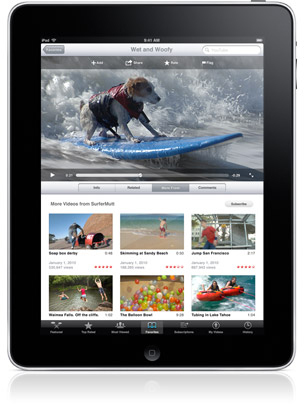 Consumer Priority Service covers all iPad models: iPad, iPad 2, and the new iPad HD/iPad3.